A big part of our kids’ education while traveling the Mediterranean is centered on history: particularly Egyptian, Greek and Roman history with some Ottoman Empire thrown in as well. Throughout their (and our) travel-based history lesson, it has occurred to us that the Balkan area of Macedonia has disproportionately contributed more world leaders than just about any other region in the world, save for the long line of Roman emperors from the Italian peninsula. Present day Macedonia is a landlocked sovereign country bordered by Kosovo, Serbia, Bulgaria, Greece and Albania and is one of the successor states of the former Yugoslavia. Ancient Macedonians lived in the alluvial plain around the rivers Haliacmon and lower Azius in the northeastern part of the Greek peninsula. The Battle of Chaeronea, where the Macedonians defeated the Greeks in 338 BC, marked an end of Greek history and the beginning of the Macedonian Era. The kingdom of Macedon was established by the 8th or 7th century BC and their first ruler of note was Philip II (“Philip of Macedon”) who ruled from 359-336 BC. Under Philip of Macedon the Macedonians are credited with numerous military innovations, chiefly among them the phalanx (a rectangular mass military formation) and the sarisssa (an extremely long spear or pike). He united Macedonia, Illyria, Thrace and Greece by bringing the various city-states into his empire through military victory, persuasion or by bribes. Probably his greatest legacy was his son Alexander, also known as Alexander the Great. When Philip II was assassinated by one of his bodyguards, Alexander took over. Alexander the Great (356-323 BC) led the Macedonian armies into Asia and conquered the Persian Empire, enabling Macedonia to become the world’s largest Empire, stretching from Europe, to North Africa, to Asia and India. Alexander was tutored by Aristotle (who in another interesting line of succession, was a pupil of Plato, who was a pupil of Socrates) and was influenced by the classical Greek thinking of that era. Alexander’s death led to a Macedonian civil war, as his generals fought over who would succeed him. Ultimately the generals carved up the empire with Antigonus I taking Macedonia and Greece, Seleucus I taking Asia and Ptolemy I taking Egypt. While Antigonus and Selecus formed dynasties on a smaller scale in their respective territories, Ptolemy’s dynasty in Egypt lasted for 275 years (from 305 to 30 BC), taking over what was the grandest and longest-lived empire that man had seen to that point. Over a dozen successions into the Ptolemaic dynasty, Cleopatra VII came to the throne. Cleopatra was the last of the Ptolemys to rule in Egypt and after her death, Egypt became a Roman province. Most Ptolemaic rulers spoke Greek and refused to learn Egyptian, which is why Greek as well as Egyptian languages were used on official court documents (as well as the Rosetta Stone). In contrast, Cleopatra learned Egyptian and represented herself as the reincarnation of an Egyptian Goddess (Isis). 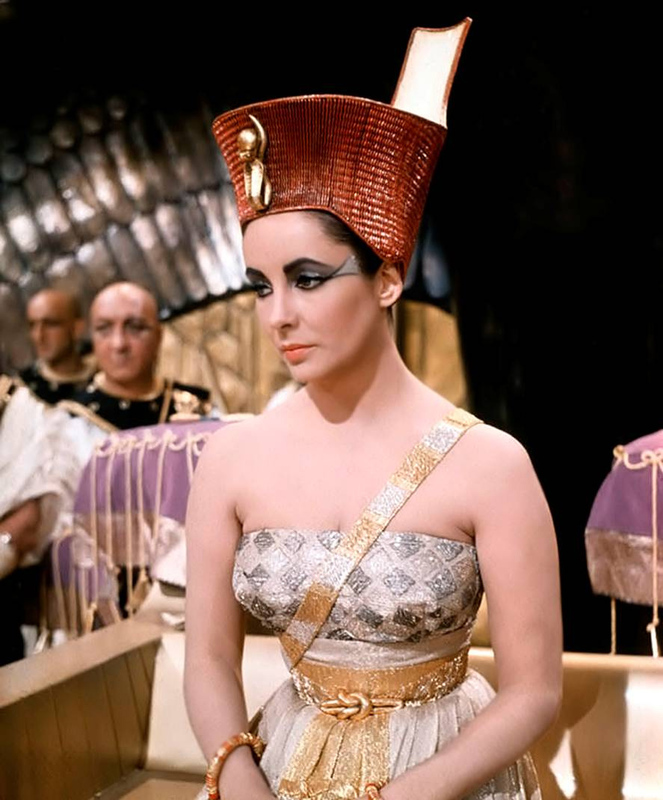 While there is some evidence to the contrary, Cleopatra is typically cast as a great beauty and her conquests of the world’s most powerful men (eg., Julius Caesar, Mark Antony) are taken to be proof of her allure. French philosopher Blaise Pascal argued that Cleopatra’s classically beautiful profile changed world history: “Cleopatra’s nose, had it been shorter, the whole face of the world would have been changed.” While she certainly charmed great Roman leaders, other Romans were not so smitten with her, highlighting her Macedonian goatherd family origins in many off-color jokes. In the 20th century, Kemal Ataturk, the father of modern Turkey, was born in Salonika (Thessalonika) to an Albanian father and a strong-willed Macedonian mother. It’s pretty amazing that this Balkan pastureland between the high peaks has produced so many great leaders. For a bunch of goatherds, the Macedonians have done pretty well for themselves. « A rainy day out to Lake Mburo, Uganda.